Jeans at Zara with studs and an aztec pattern. Fake nails at Primark to try out these were only €1,50 and the pattern is really cute! An oversized XL sweater from the men section at Primark for €12. Me and my friend both got this, it's really soft on the inside! I would wear this with leggings. Black sheer blouse with gold buttons, €15 at Primark. Black leggins with leather on the sides, €10 at Primark. 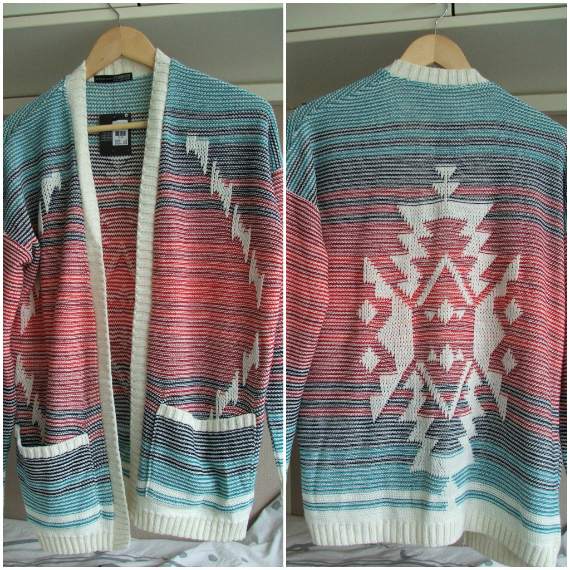 A really cute ombre (kind of) cardigan with an aztec print on the back. This was €18 at Primark. This was my shopping haul! I will defenitely bot be spending a lot of money anymore lately... it damages my bank account big time, hehe. Have you been going shopping lately? :) Let me know! i ♥ your hat !!!!!!!!!! 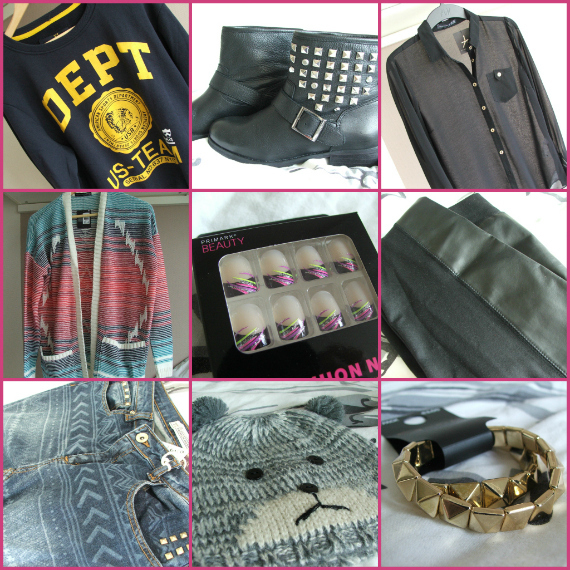 but oke, i am 10.
leuke items! die armbandjes zijn super leuk en die blouse ook! The boots are amazing, I love everything with studs! I am very curious how the fake nail will look on your fingers! Die derde blouse is echt super mooi! The boots, so great. I like your blog. Leuke spullen! Vooral die broek is echt vet!